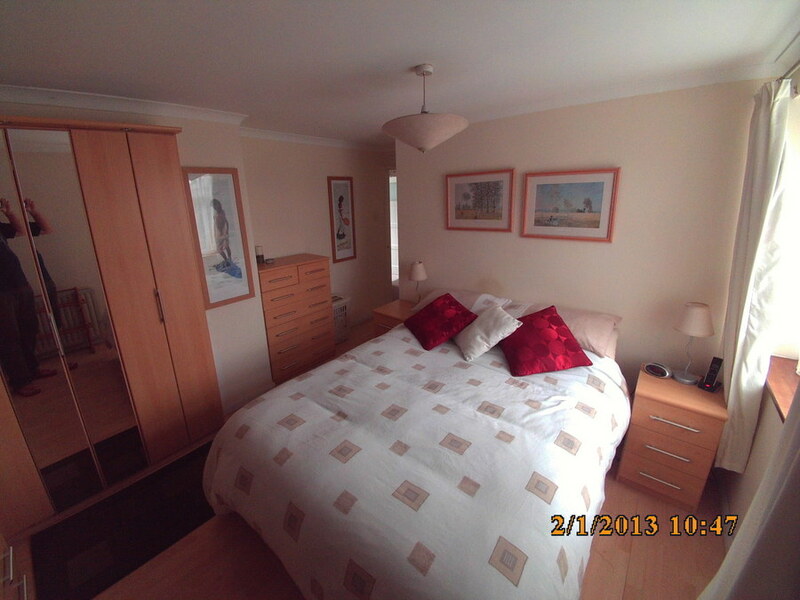 We live in a 3 bedroom / 1 bathroom home in Staines-Upon-Thames quite near the River Thames. My wife and l are both non-smokers and like to keep our home clean and tidy. 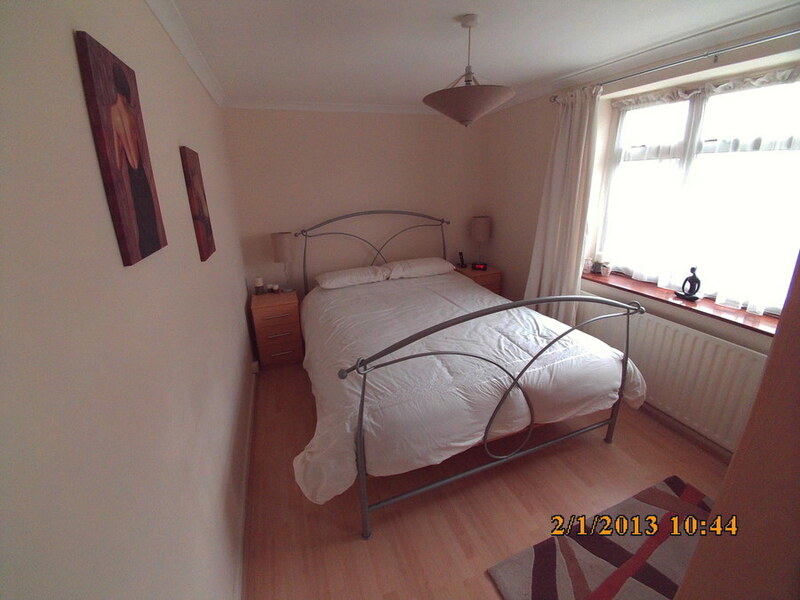 Our house has 3 bedrooms comprising two double bedrooms and a single bedroom. 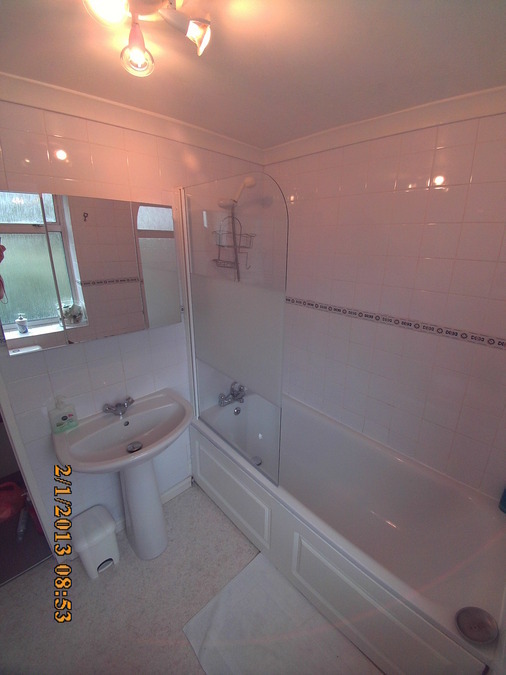 We have just one bathroom with a shower over bath arrangement. 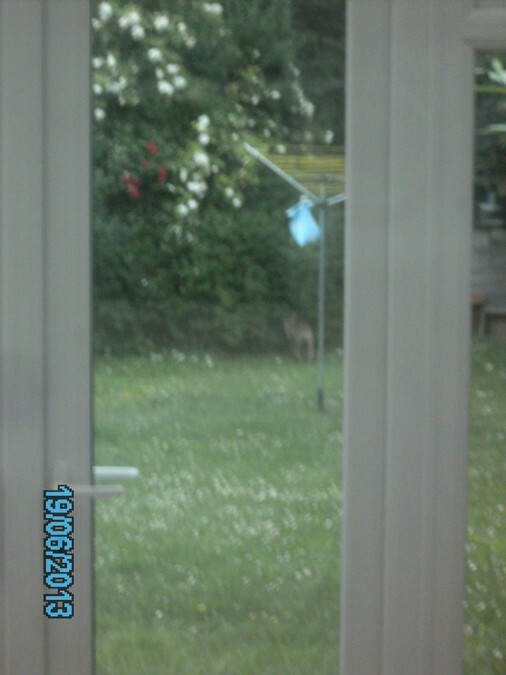 We have added a large conservatory to the back of the house. 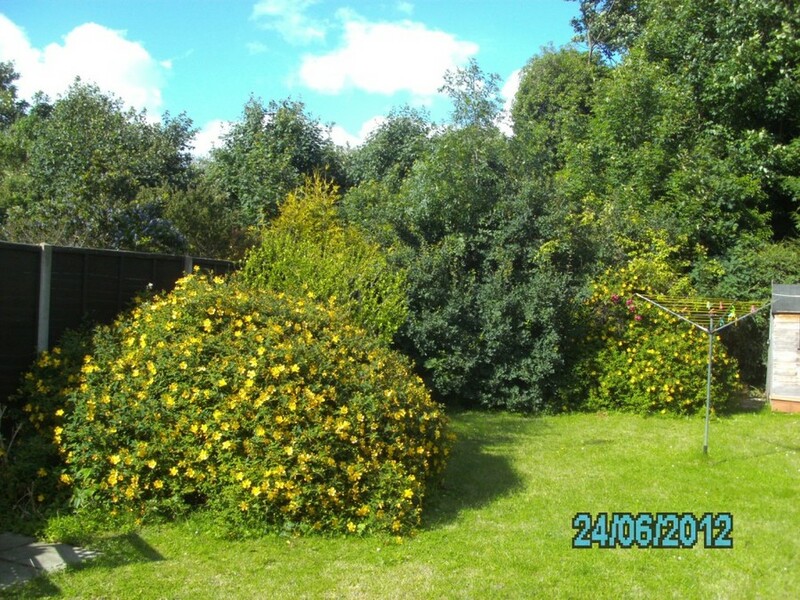 This extends the time the garden can be used in Autumn, Winter and Spring. We have a 60’ back garden (large by UK standards) and our house has an open (gas) fireplace, cable TV, ADSL broadband wireless internet access and all of the typical modern conveniences (but no dishwasher). 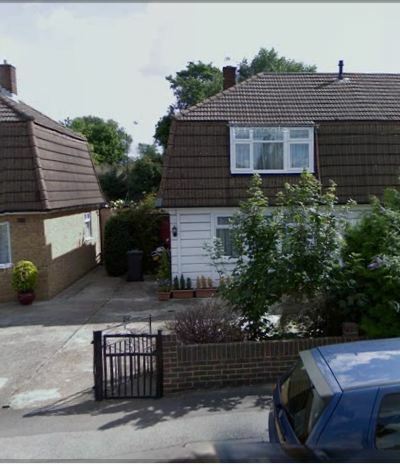 Within the area boarderd by the M25 Motorway (Greater London area) most houses only have on-street parking which means it is often difficult to find a parking space. 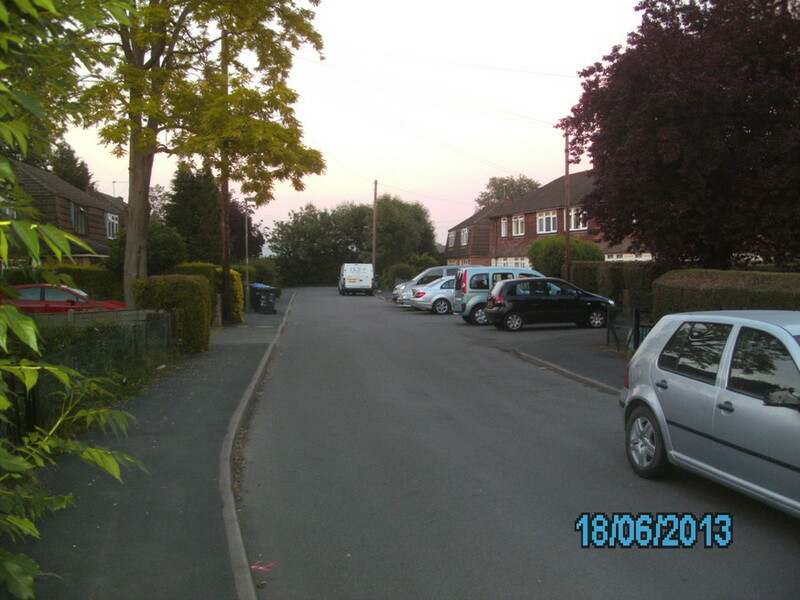 Our house has off-street parking which is convenient for guaranteed parking of up to 2 vehicles as well as lay-by parking in front of our house. This makes it very easy for friends to be certain they can find a parking space when visiting. 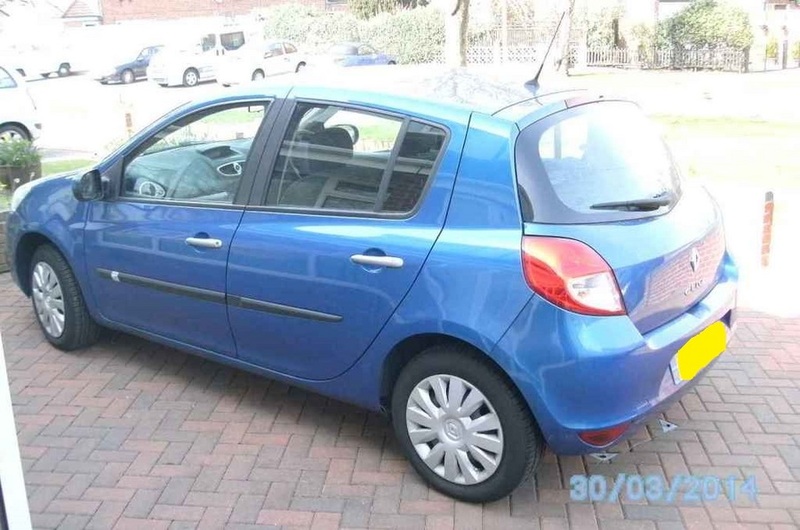 We have one car (a 2010 model 5 door automatic Renault Clio) that we can include in the home exchange. We also have 2 bicycles (mountain bikes) which we use to ride around Staines, often to go shopping in the Staines town centre which is a 15 minute walk away or to the railway station which is 20 minute walk away. These bicycles can also be included in the home swap. 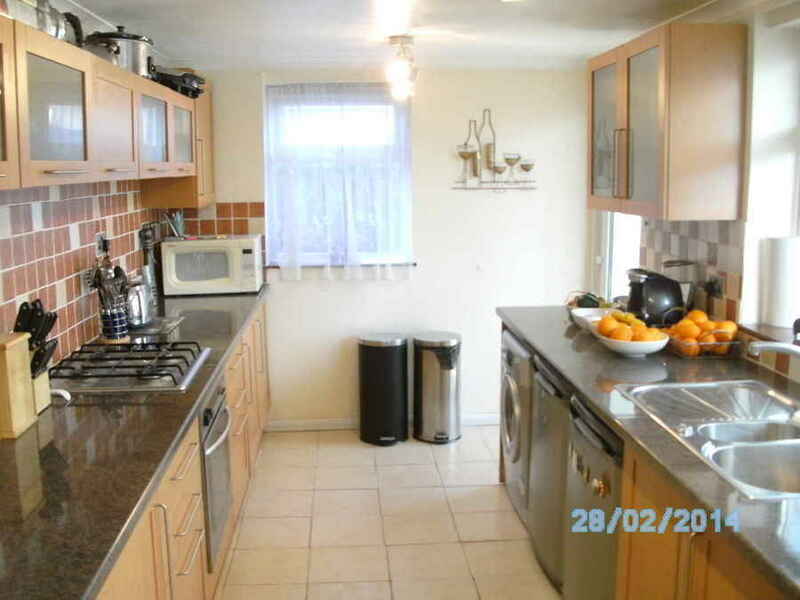 The house has been fully renovated in 2008 and a new conservatory added to the back of the house plus a patio area was then added on to the conservatory making a large patio area overall. We also have a variety of Sky Cable television channels and numerous radio channels. We have wireless internet so if you bring your laptop/notebook computer you can access the internet anywhere in our home. If you do not have a laptop/notebook computer we will provide one (Microsoft Windows 8) already to use and connected to the Internet. The main question people ask us about are the transport links to Central London and where can they explore England on day trips. For any tourist the most important thing about where we live is the easy the access to the M25 motorway which is only 2 miles (3 kms) from our house. The M25 motorway both orbits the whole of London and it is the easiest link to the M1, M3, M4 and M40 motorways as well as A30, A40 & A41 highways. This makes our house ideally located for access to the south east and south west of England as well as the Midlands and north of England. Because of where Staines-Upon-Thames is located it is an ideal place for anyone to use as a base to visit on a day trip many places in the South and Midlands of England as well as central London which is just a 45 minute train ride away.We are a 1 mile walk to the Staines-Upon-Thames Railway Station which has 6 trains an hour during off peak, (one every 5-10 minutes during peak times) providing excellent easy access to central London Waterloo Station by train which is what l use to travel on into London every day for work. The 441 Route bus is just 500 yards (485 metres) from our house and that bus will take you directly to London Heathrow Airport (all Terminals) where it is possible to catch the London Underground (Tube) to London King Cross-St Pancras Station which is also the current London terminus for Eurostar (www.eurostar.com), the high speed TGV trains to Belgium and France, including a train directly to central Paris, Brussels, Lille and Bruges including cheap offers such 3 star accomodation weekend trips to Paris from £89pp and Disneyland in Paris from £95pp. Kings Cross-St Pancras is also the station for direct trains to Luton and Gatwick which are the 2nd and 3rd largest of London's 5 airports so this opens up the whole of Europe for budget flights and holidays. 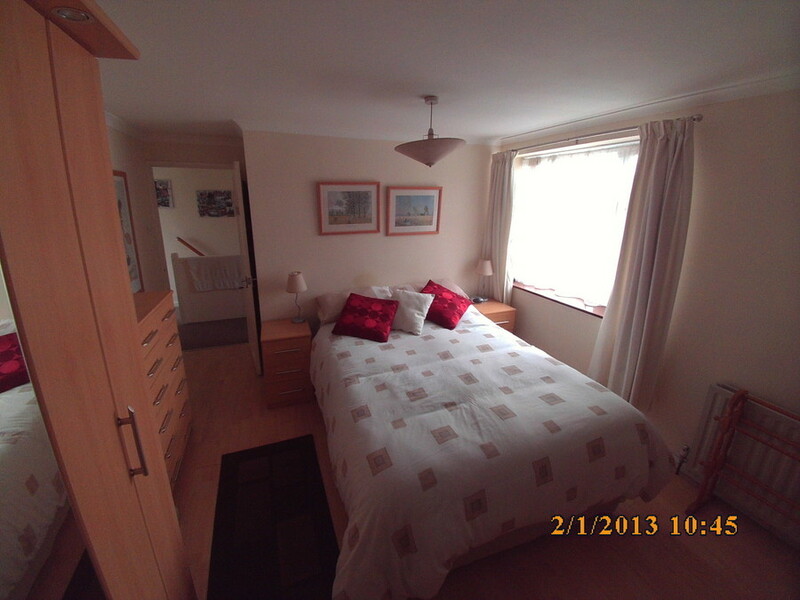 Since we live on the outskirts of Staines-Upon-Thames we are ideally located near supermarkets & petrol (gas) stations. For those who want to explore locally we recommend the Staines-Upon-Thames/Egham/Runnymede/Chertsey area since it abounds in considerable history. Staines-Upon-Thames gets it's name from the Latin word "Pontes" when the Romans Legions formed the first crossing point of the River Thames at Staines-Upon-Thames. 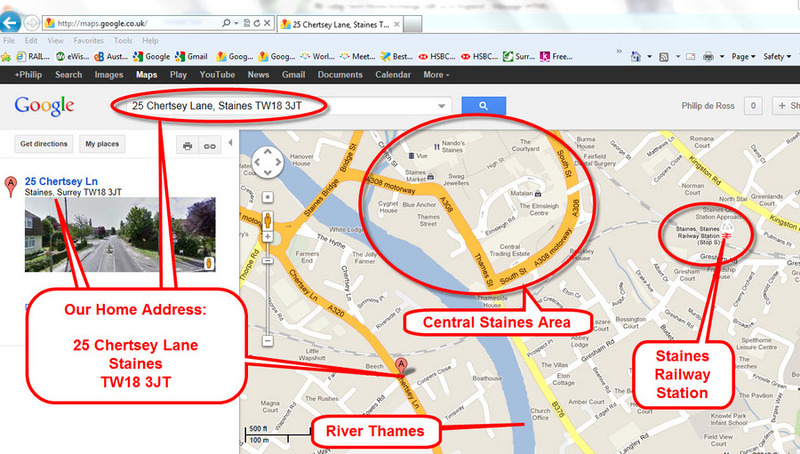 Staines-Upon-Thames was where the Romans built the first bridge in England as they proceeded to conquer the Britons. Other historic aspects of Staines-Upon-Thames were is was the site of first linoleum factoru and also the home of the Aton Martin Lagonda motor car factory (now the Sainsbury's supermarket). A good summary of Staines-Upon-Thames is in http://en.wikipedia.org/wiki/StainesNearby Egham is famous for the Holloway College, the worlds first women's university and Runnymede is famous for being the location where the Magna Carta was signed in 1215 on the banks of the River Thames. Windsor Castle and Hampton Court Palace are both located nearby, each being approximately 5 miles from our home.For those who prefer action (usually teenagers) we have Thorpe Park (www.thorpepark.com) only 2 miles down Chertsey Lane and Legoland (www.legoland.co.uk) only 5 miles in the other direction.The Royal Forest 'Great Windsor Park' (part of the Royal Estate attached to Windor Castle, http://en.wikipedia.org/wiki/Windsor_Great_Park) is only a few minutes drive away in Windsor. 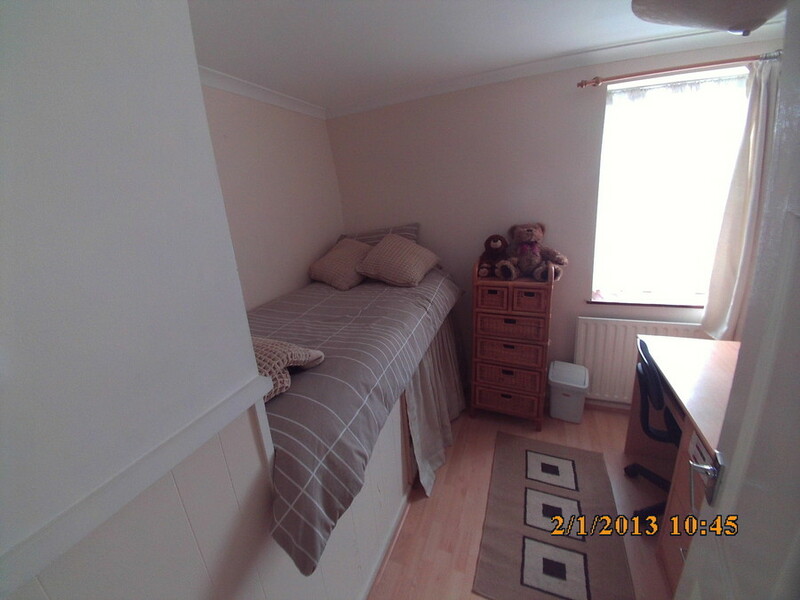 The bedrooms and bathroom are on the first floor. The entrance to the house via the front door and the rear conservatory also has steps. 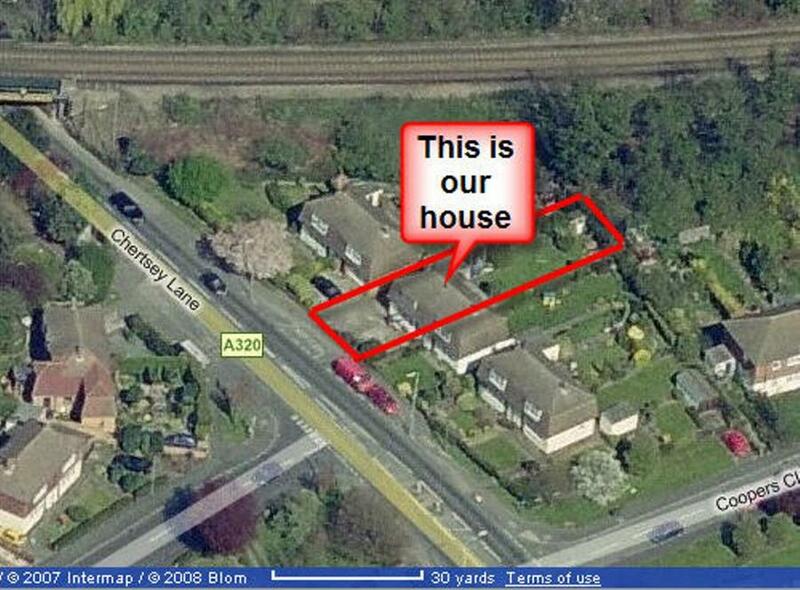 Our house is unsuitable for anyone with mobility issues. Our house is definitely NOT a wheel chair friendly house. If you arrive in the UK via London Heathrow Airport (LHR), the main international airport for London, then we are ideally located just a 15 minute drive south of LHR. We recommend to home exchangers to pre-book a 'Meet & Greet Taxi' from Gemini Cabs (a pre-booked taxi service) as this is vastly cheaper than catching a London Cab taxi on the taxi rank. Alternatively you can catch either the Route 71 or Route 441 bus to Staines (the first bus stop past Staines Bridge) and walk a short distance to our home. If you arrive via other London airports, railway stations, ferries, etc we can advise you the easiest way to each our home. We are often asked where can people go on day trips from Staines-Upon-Thames. Because we are near to the M25 orbital motorway (it completely encircles London) and the intersections of the M3, M4, M40, M1 and further afield the M2, M29 and other A roads it is actually quicker to drive to Oxford (50 minutes away) than it is to reach central London (1 hour drive on a quiet Sunday).When we have had friends visit us from Australia we have taken them to the following places on day trips:1. Thorpe Park (5 minutes drive away)2. Windsor Castle (15 minutes drive away)3. LegoLand (15 minutes drive away)4. Hampton Court Palace (25 minutes drive away)5. Oxford (1 hour away)6. Stratford-Upon-Avon (1.5 hour drive away)7. Portsmouth (1.5 hour drive away)8. Southampton (1.5 hour drive away)9. Chatham/Rochester (1.5 hour drive away)10. Dover Castle (1.5 hour drive away)11. Warwick Castle (75 minutes drive away)12. Isle of Wight (75 minutes drive away plus ferry)13. Brighton (1.0 hour drive away)14. Cambridge (1.0 hour drive away)15. Birmingham (1.5 hour drive away)16. The Cotswolds (1.5 hour drive away)17. Mallvern Hills (40 minutes drive away)16. Winnie the Pooh 100 acre woods (1.5 hour drive away)17. 300 Great Britain Heritage sites (within 15 minutes to 2 hours away)Basically the while of the South eastern part of England can be reached within a 2 hour drive from Staines-Upon-Thames.